A restaurant’s menu is one of the most important internal advertising tools that can be used to educate a guest about the experience they are about to have. An instant snapshot of a restaurant and the one piece of advertising every guest will read, having an appealing, clean menu is essential to communicating your brand. The literal definition of a menu is ‘a bill of fare or a list of food items a restaurant prepares and serves.’ Following the literal definition, one could just list the items offered on a piece of paper. However, successful chefs and restaurant owners will realize the broad and comprehensive purpose of a well-designed menu. 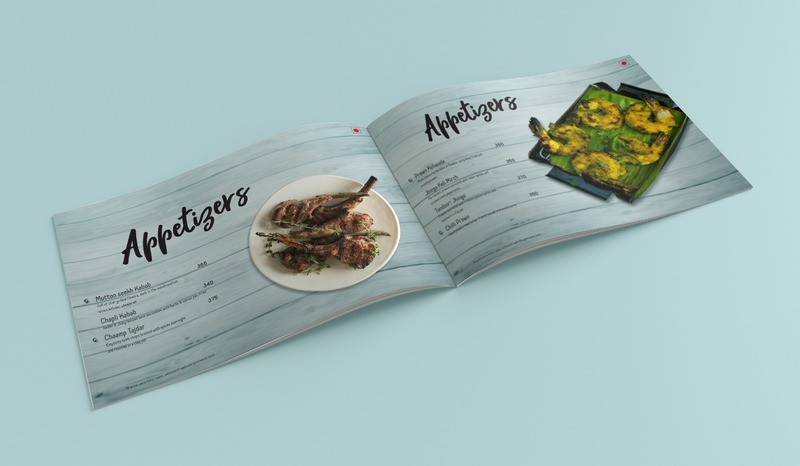 An effective menu design should communicate a brand, the vision, the ambiance and feel of the restaurant and the food and the experience a guest can expect to have. Whether it is a five-star restaurant or a mom and pop diner, the menu needs to be developed from the perspective of the specific clientele the restaurant is looking to attract. Once established, the goal is to creatively impress and entice guests. This comes down to the actual menu design, the fonts, colour palates, use of whitespace and/or photos, descriptive content, even the type of paper used or the presentation folder it’s housed in. Keeping the branding a streamlined theme throughout all elements of the restaurant, including the all-important menu design, will play a vital role in the success of the restaurant and greatly increase the chances of repeat customers. The menu may be the most important internal advertising device used to sell the customer once they are inside your restaurant. It is the only piece of printed advertising that you are practically 100% sure will be read by the guest. Once placed in the guest’s hand, it can directly influence not only what they will order, but ultimately how much they will spend. Using forecasted cover counts and average check targets, the menu design directly influences sales revenue. Management is constantly forecasting business volume and relating this knowledge to decisions on how much to buy, keep in inventory and prepare. The menu will have an impact on every one of these decisions. When Bindaas Rasoi approached us to redo their menu. They were sure of one thing. They wanted a very minimal classy design with food images that would appeal to the audience. After analysing their position in the Chennai food scene, audience and cuisine. We came up with ideas that best portrayed their restaurant, an upscale north Indian restaurant located on the IT corridor of Chennai. The placement of the images and their alignment with the text was done in a way to ensure that images were prominent. Ultimately all customers want to only know how the food will look like. Hence the main emphasis was on the images placed on a rustic background. The menu was a huge hit among audience at the restaurant and for the online ordering category too. For your own unique customised menu design, talk to us. Great awesome issues here. I?¦m very satisfied to see your article. Thank you a lot and i am taking a look ahead to touch you. Will you please drop me a e-mail?